Unmask the haunted history of Halloween in this fact-tastic, nonfiction Level 3 Ready-to-Read, part of a new series all about the history of fun stuff! Did you know that hundreds of years ago, people would carve Jack-O’-Lanterns out of turnips and potatoes? Or that today, Americans spend nearly two billion dollars each year on Halloween candy? 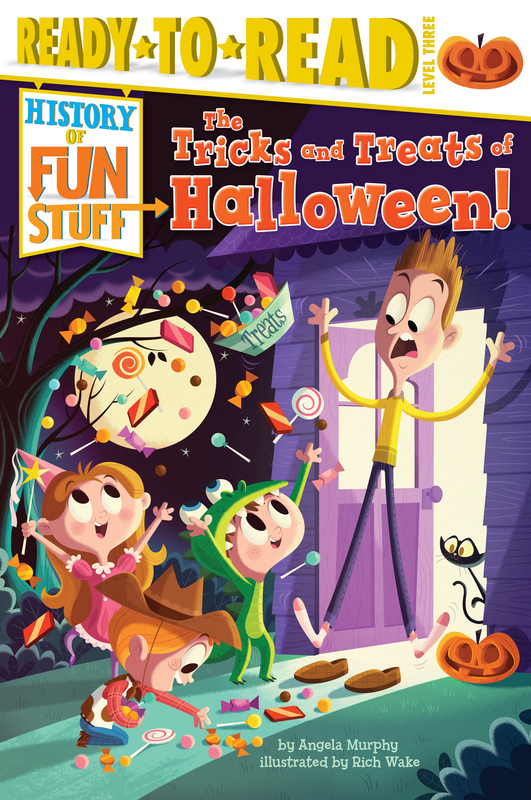 Learn all about the not-so-scary history of Halloween in this fun, fact-filled book. Angela Murphy splits her time between Delaware and California. When she’s not writing, she enjoys photography and playing the saxophone. Angela has written dozens of children’s books under various pen names, and plans to someday write a book about a photographer/ jazz musician who moves to New York City to play professional baseball. Book Cover Image (jpg): The Tricks and Treats of Halloween!